The last weekend my husband and I got to lent the company car from where he works, so we could make a trip to IKEA (I thought it would beneficial to have more than two chairs if we were to invite someone over…). On Friday I was in Tokyo and on my way back in the evening I met with my husband at the station and we went to the company together to get the car. Unfortunately this evening two things came together that make it (for me) harder to see/drive: night (darkness) and heavy rain. So I have to confess that although I have been driving for over 12 years now, that I was a little nervous. I have never driven in left-handed traffic and the company car is one of those Keijidousha, which I am not used to, either. 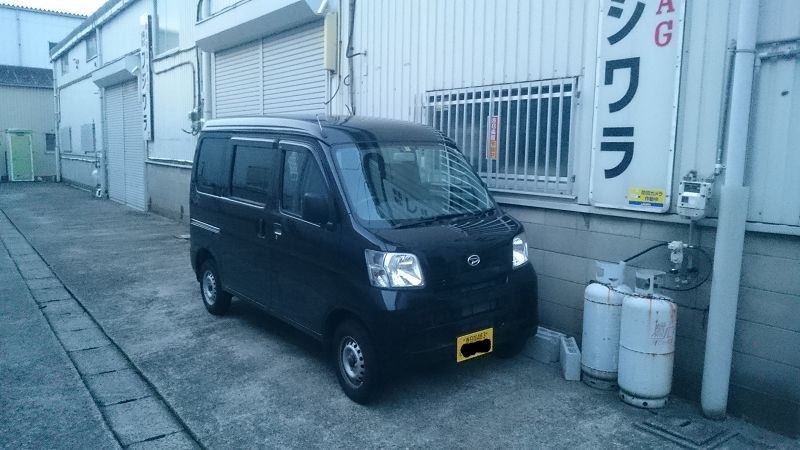 For all those who don’t know what a Keijidousha is, it’s a quite small, light, cube-like car with a very slim hood. They are pretty popular here in Japan (and I really haven’t seen them anywhere else) though I think they are not that save. If you hit another car with your front there will be virtually nothing left/the engine will be right on your lap. Though speed limitations are good to get a slow start, here in the city the limit is 30-40 km/h. Another thing I’m not used to is that most of the cars here are automatic. I really like driving a manual, but I think in this instance it was good I didn’t have to try to change gears with my left hand while concentrating on cutting no one of in traffic (or worse). haha definitely throws your perspective out of balance. One of my coworkers in the U.S. had a car with that similar style, but it was safer. From what I understand, those “crumple in an accident” cars aren’t allowed in the U.S. Also, U.S. traffic lights are also on the other side of the street. When I first started driving it would confuse me when I made a turn, because even though it was my turn to go, I was driving under a red light! The nice thing is, Japanese drivers are very courteous (I think…I didn’t notice when crossing streets in Tokyo) so even if you make a few mistakes, they won’t get angry. So seriously I’m impressed you can even drive at all! I heard that the traffic in Korea, particularly in Seoul, is really bad, is that true? So far I’ve only driven in the countryside (so to speak) and I think I won’t be driving into Tokyo until I feel confident enough in my driving. At least now I understand why people have little signs with their phone numbers on their car windows though lol.